9 nights of Navratri to transform life, 9 divine nights importance for prayers. In reality 4 times 9 nights comes every year but the 9 nights just before the Vijaya Dashmi and just after Pitra paksh are very popular and visible to all. These 9 nights are called "Navratris" as per Hindu Religion. Devotees worship Navdurga in these divine nights. The importance of these 9 nights are accepted by the spiritual practitioner of different path. These nights are said to be most powerful nights, most sacred nights to perform spiritual practices. The tantra and mantra practitioners wait for these 9 nights to complete there processes or to start new practices. 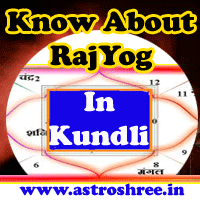 In hindi night is called ratri, It is experienced by real spiritual practitioners and ritual performers that the process done in these nine nights are very powerful and give good results soon. 9 different types of goddess powers are worshiped on these nine nights to fulfill life with health, wealth and prosperity. But spiritual practitioners also practice different types of practices to activate them and they called them Siddhis.Read about Shardiya Navratris. Siddhis are the powers which help the person to perform any difficult work easily. Siddhis are called the divine powers which a common person attain by the hard practices. Generally it is a belief that only saints and sages are able to get siddhis as they are very difficult to attain but it is not true. There are many common persons also who has achieved the success in spiritual field by performing there worldly works too. So success need commitment with our own self, Nothing is impossible for a passionate person and so if any one want to get blessings of god and goddess then no doubt he or she must be confident and passionate for the success. Read about Special prayog for navratris. Each day of Navratris is dedicated to different types of powers of goddess Durga and so people perform different types of pooja and fast to please them to get powers to live life successfully. Some keep very hard fast and don't even take water for 9 days and nights and engage themselves in performing chanting the mantras/spell of Maa durga. Some do Ekasana means eat food one time. Some perform fast but eat only fruits, they sacrifice grains. Some drugs addicts leave there habits for 9 days and perform saadhna to gain powers. Some arrange the anusthan of Dugrashaptshati daily during navratris. Some perform Hawan or yagya regularly on these nine days. Shat chandi yagya is also performed by devotees in this period. In Gujarat these 9 nights are celebrated greatly and people generally perform GARBA Dance to please goddess shakti. Huge arrangements are done to celebrate garba dance. In Assam and west bengal these nights are celebrated as DURGA POOJA, and in these days huge fair is arranged and people enjoyed the 9 days and nights freely. Children buy cloths, toys , huge pandal is decorated to install statue of Maa durga, rituals are performed to invoke goddess shakti. If any one is suffering from problems like marriage problems, bhagyoday problems, black magic/kalajadu problems, love problems, business problems, job problems, social status problems etc then no doubt these 9 nights can make your powerful and give solutions of your every problems. 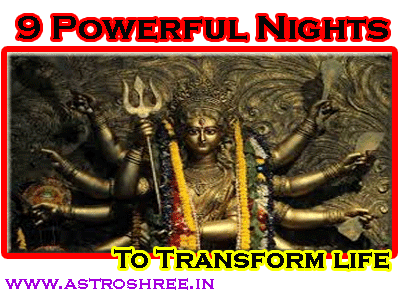 How To Transform Life During 9 Nights Of Navratris? This is one of the important questions in mind after knowing about the powers of nine nights of Navratris. So here my suggestion is that don't enter in any doubt. Whatever pooja you are doing for long time just continue that properly and with new commitment with your self. Do chant spells/mantras, perform hawan regularly, maintain purity and don't break your routine. Do enter in your saadhna, pooja, mantra/spell and let the spell enter in you. I am sure that you will definitely feel something divine in the nine nights and you will definitely be able to fulfil your wishes. You can perform shree Saadhna by installing a Shree yantra to please goddess laxmi to attract prosperity, money etc. You can perform the practice of Navarn Mantra to please Mahashakti. Reading Durgashaptshati daily with the rules and regulation given in the book is also a good way to please Durga Maa. If you have any guru mantra then do chant it and perform hawan too with that to fulfill your wishes. One can also perform Vashikaran saadhna on these days. Beyond this you can also order for any Siddha yantras to install at your office, home etc. for health, wealth and prosperity, to protect yourself, your home and your business places from black magic or evil eye effects.